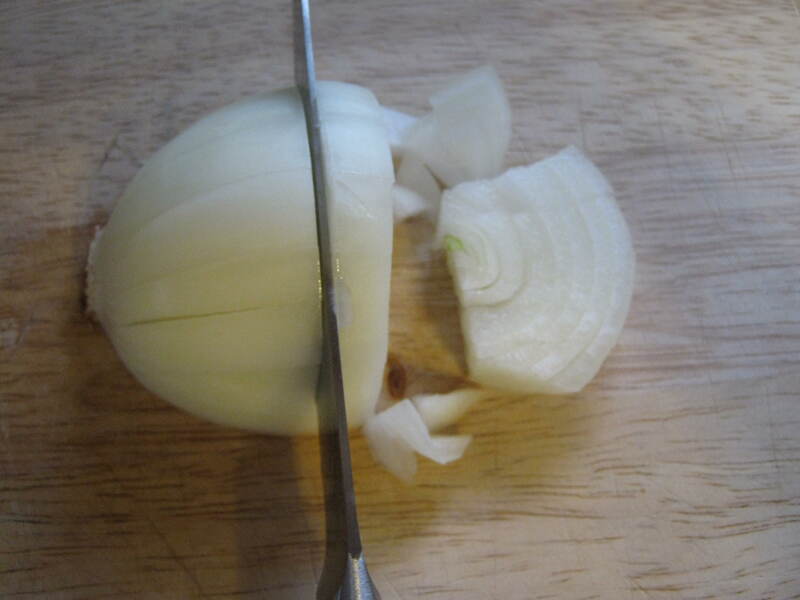 I never knew there was a right way or wrong way to cut onions. 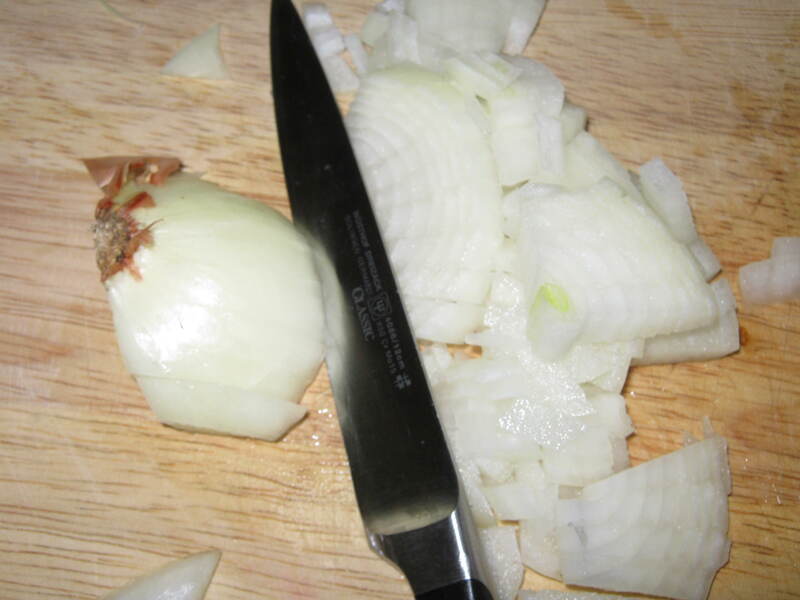 I figured that as long as I ended up with a bunch of cut-up onions, I must have done it right. Recently, however, I have learned that there are both easy and less-easy ways of doing it. After having used the less-easy methods for most of my life, I finally tried an easy method and was instantly converted. Here’s how I do it. 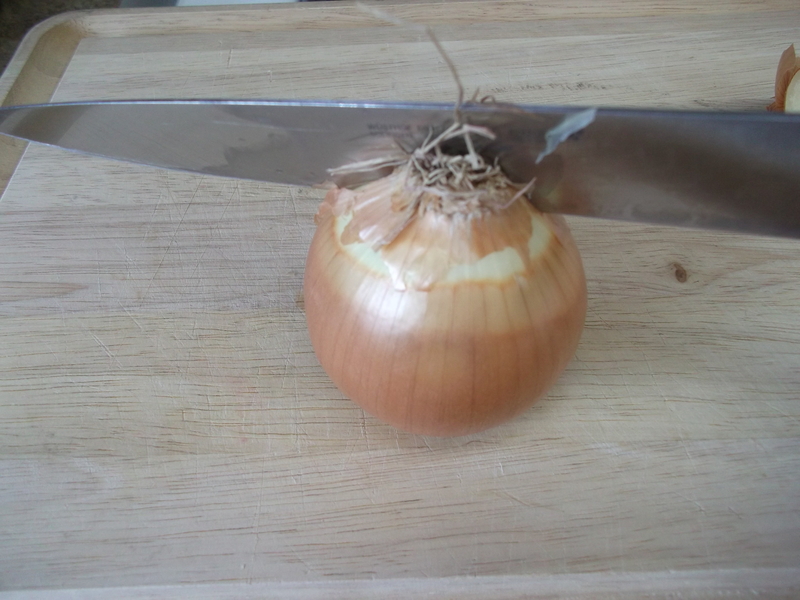 Set the onion on the side (on its equator) and cut off the North Pole. Reassure any small children in the room that Santa Claus is in no way endangered by this step. Now set the onion down on what used to be the North Pole (now we’ll call it the North Butte, or something like that). Place your knife carefully in the middle of the South Pole, using both hands to guide and make sure the knife doesn’t slip. Seriously, be very careful. Knives and fingers are not friends. Cut straight down, all the way through. Fingers intact? Good, let’s move on. 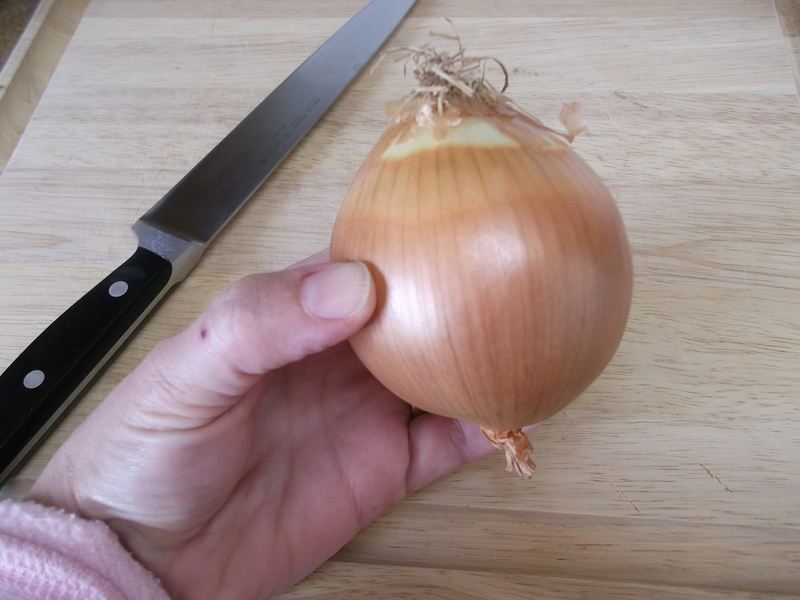 Now it’s time to peel the onion, but keep the South Pole root attached: that’s what is going to hold it all together later when you start slicing. 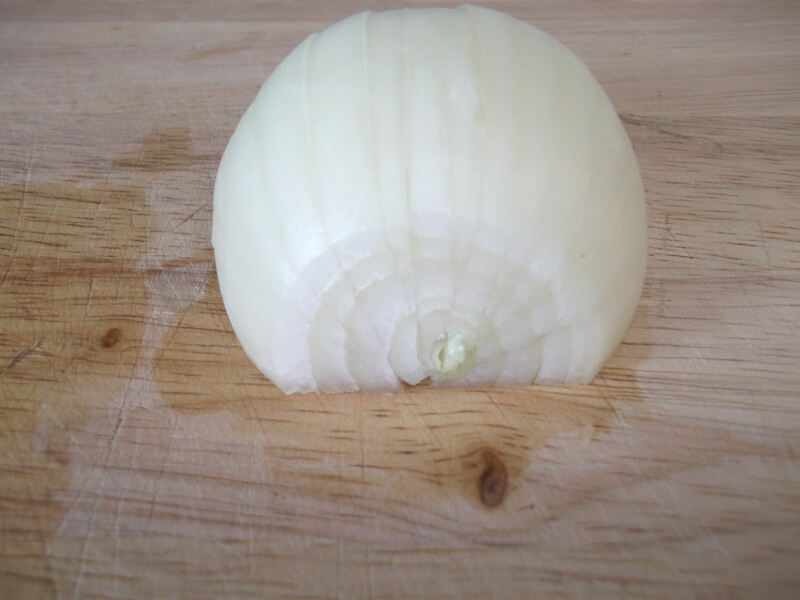 Take the peeled onion and make the first slice, at an angle, cutting through as close to the root end as you can get without going through it. The idea behind slicing at an angle is so that each sliver is about the same width on the outside. If you just cut straight down, the side slices will be a lot thicker than those in the middle. Think of a child’s drawing of the sun, and how the sun rays go out at angles all around the sun. 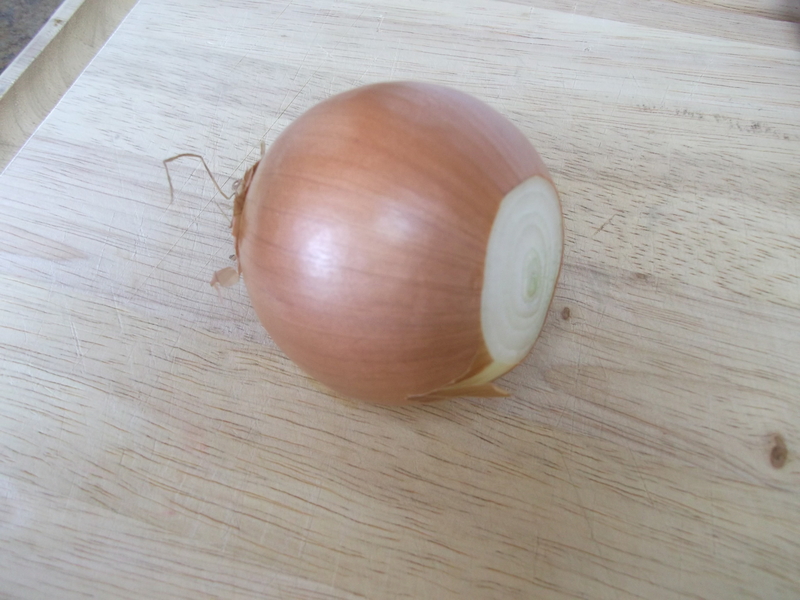 That’s kind of what you want your sliced onion to look like. You can cut wider swaths for a larger dice or thinner swaths, like these, for a smaller dice. 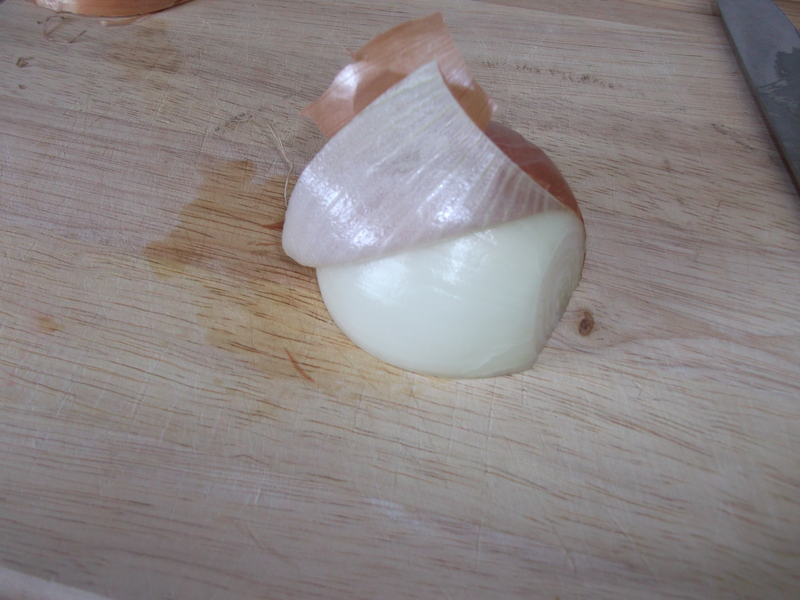 Now hold the onion by the root end (South Pole) and start dicing, cutting parallel to the equator. (I needed a hand to hold the camera, otherwise I’d be holding the South Pole in place.) Again, make thicker or thinner cuts here, depending on the size of dice you want. 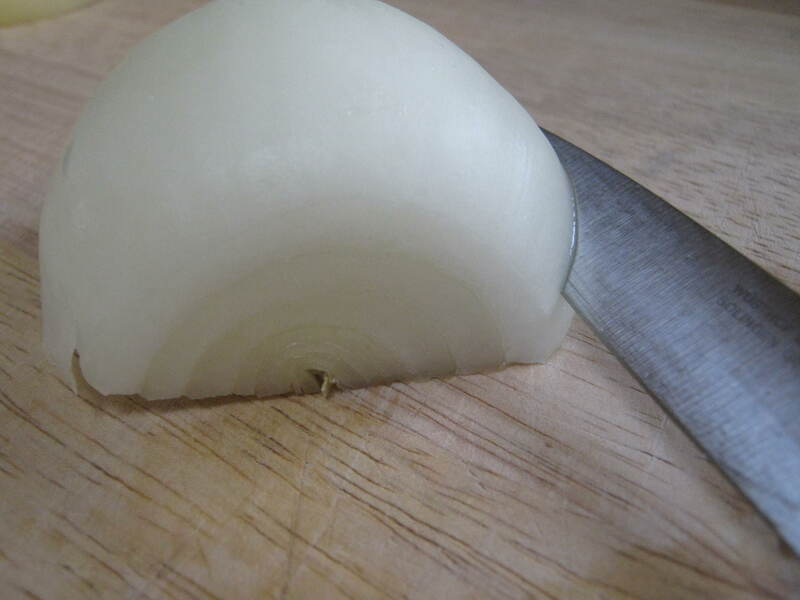 When you get close to the pole, you may want to stand the onion on its flat side and continue cutting to the pole. Keep cuting at a bit of an angle here to keep the size uniform. 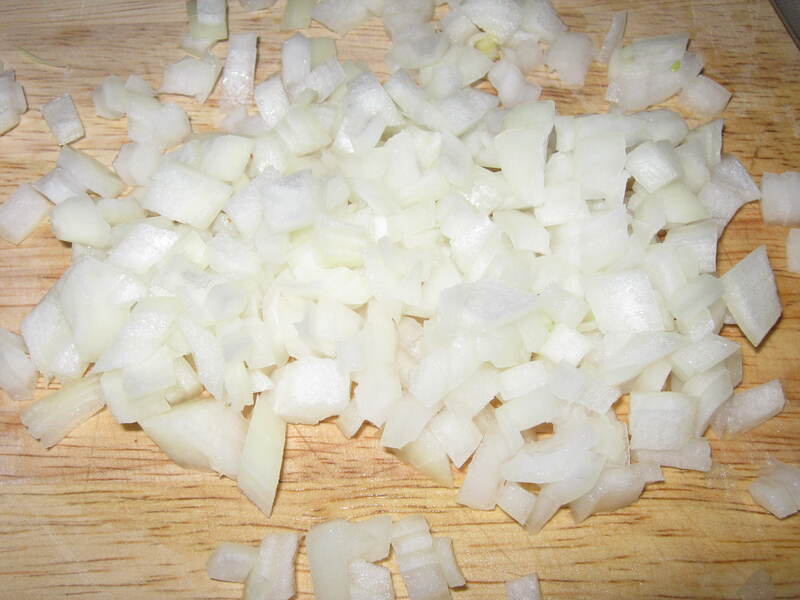 Repeat the process with as many onions as you need – or as many as your burning eyes can tolerate.